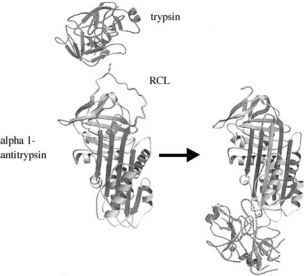 the in vitro translated proteins. Figure 2C shows results obtained from fluorescent imaging after SDS-PAGE using aliquots of the same translation mixtures used in Fig. 2B. The wild-type sample produces a band of the expected molecular mass 70 kDa), whereas the homozygous mutant cell line samples exhibit single bands at approximately 35, 40, and 32 kDa (C1-C3, respectively). Samples derived from FAP individuals heterozygous for a mutation exhibited two bands corresponding to both wild-type and mutant alleles (lanes P1-P4). ELISA-PTT does not require electrophoresis for the primary screen, but does require electrophoresis for sizing the proteins in order to locate and confirm the mutation in the amplicon. In contrast, Garvin et al. reported a method to size in vitro synthesized proteins by mass spectrometry, thereby eliminating the need for electro-phoresis. Experiments were carried out using a short sequence (21 bases) of the BRCA1 gene. After in vitro translation, the test peptide was purified using a FLAG-epitope and subjected to MALDI-TOF mass spectroscopy. Truncating mutations in heterozygotes are easily detected, and importantly, single amino acid substitutions are also detectable because of the high resolution of mass spectroscopy. Although this process can be multiplexed and is amenable to automation, the small test sequence size reduces its effective throughput compared to gel-PTT or ELISA-PTT.